A cast member on the hit television show “Empire” alleged he was physically attacked by men in Chicago who shouted racial and homophobic slurs, police said Tuesday. Police did not release the actor's name but a statement from Fox, which airs “Empire,” identified him as Jussie Smollett, 36. Authorities said they are investigating the alleged attack as a hate crime. Smollett is black and openly gay. 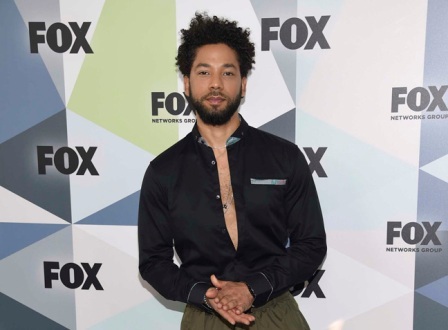 Twentieth Century Fox Tele­vision and Fox Entertainment released a statement Tuesday in support of Smollett. “The entire studio, network and production stands united in the face of any despicable act of violence,” the statement read. “Empire” co-creator Lee Daniels also voiced his support for Smollett in an Instagram video .